Do you have an idea or an invention that you would like to get patented?? Are you confused or unsure of what to do to obtain an invention patent? The best place to go to get patent information is through the U.S. Patent Office. This patent information is available online at their website at uspto.gov. Here’s a step by step guide to how the patent process unfolds. The first step to filing your patent is to determine what kind of patent you need. There are 3 types of patents. The first is a utility patent. A utility patent protects how the new article is used and how it works. The next is a design patent. A design patent protects the way the new article looks. The third is a plant patent which is used to protect asexually reproducing plants that have been invented or discovered. Once you have determined what kind of patent you need, you then start the application process.? The application must be filed with the U.S. Patent Office. The application describes the invention and it must state how to make use of the invention. It should also include why this invention should be protected by a patent. Documents, drawings, and testimonies should be included, along with the application fees. The second step is when the patent examiner does a patent search to be sure your invention is truly new and not a copy of someone else’s patent. The patent examiner will communicate with the inventor or the inventor’s patent attorney if any questions arise. This part of the patent application process can take some time. 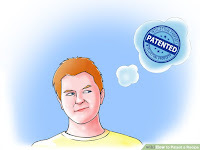 The third step is for the patent examiner to decide if the invention is truly unique and therefore in need of a patent. If your invention is unique, you receive a patent. If not, your claim will be rejected and you will have to argue against it. You may go through a patent attorney or submit your patent application yourself. Patent attorneys can be found online or in your local telephone book. You may submit applications online electronically at the U.S. Patent Office’s website at uspto.gov. Once you have obtained your patent, it will be good for a number of years. Even so, it is possible for other inventors to try to copy your patented idea. Your patent protection is of no use if it isn’t enforced.? To help ensure enforcement, you may wish to get the help of an Invention Development Organization (IDO). They will help you to keep your invention safe and to market your product. That’s it! There’s really not much involved in filing your patent. For resources and other questions you may have see http://patent101.com. With some tenacity and a clever idea, you should be able to get a patent for your invention in just a matter of time.